You've got to hand it to Depeche Mode. They could probably rest on their history, tour, and rake in cash playing good sized arenas. Instead they choose to keep churning out new records to tour behind. The latest (and thirteenth), Delta Machine, hits the streets on March 26th. The band really haven't lost any edge over the years. In fact, the blood throbbing in your end sound of "Welcome To My World" sounds more like Trent Reznor than Trent Reznor does nowadays. You won't find a lot of hook-heavy radio singles here. 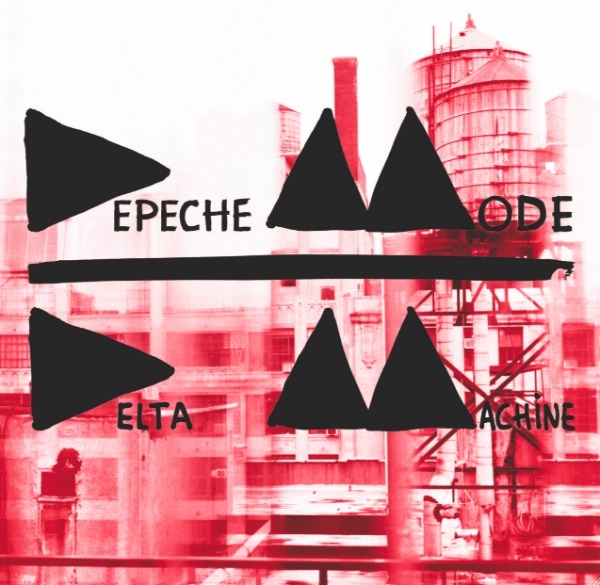 Delta Machine is a dark and ominous record. On "Angel", Dave Gahan gets down and sleazy, sounding like Nick Cave fronting an electronic act. On the other end of the spectrum, but in keeping with that religious theme, the lead single "Heaven" features strong vocal harmonies and a structure that is vaguely reminiscent of "While My Guitar Gently Weeps". The group even prove to have a few surprises up their sleeves. The most startling is the blues guitar riff that forms the basis of "Slow" and to a lesser degree "Goodbye". "Soft Touch/Raw Nerve" is an intriguing update on the relentless monotone drive of early Devo. Tracks like "Secret To The End" and "Broken" are fairly standard late-era Depeche Mode cuts, which should serve to keep long-time fans grounded. Depeche Mode are a long way removed from their creative hey day, but one has to respect that they are still setting out to make new and interesting music. They deserve even more respect for succeeding. Depeche Mode play the Molson Ampitheatre in Toronto on September 1st.